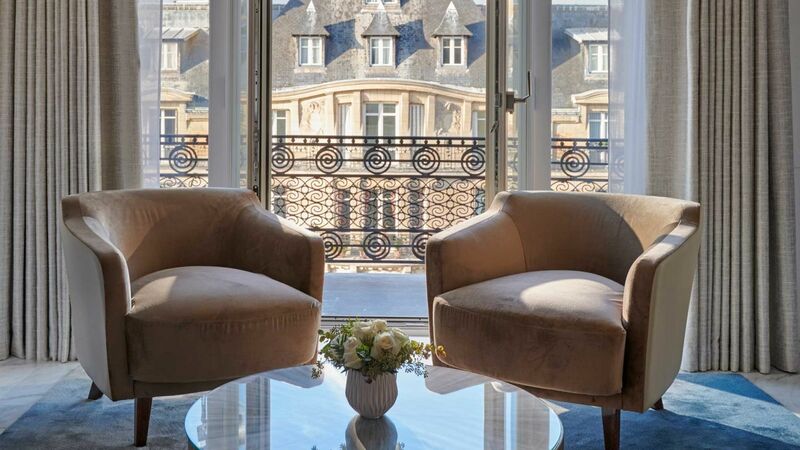 Just as Paris shapes fashion, fashion shapes our new Haute Couture Suite. 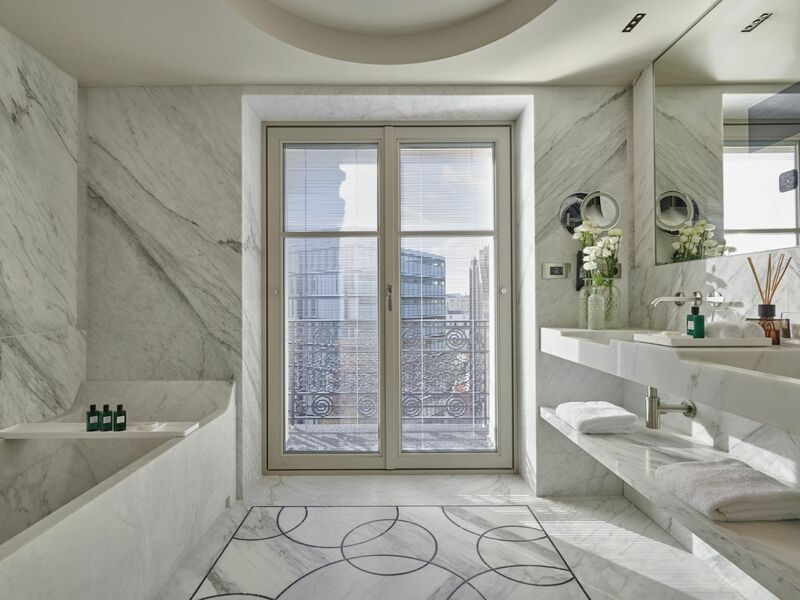 An homage to this liveliest of the arts, the suite is your private residence in the heart of the world's fashion capital. 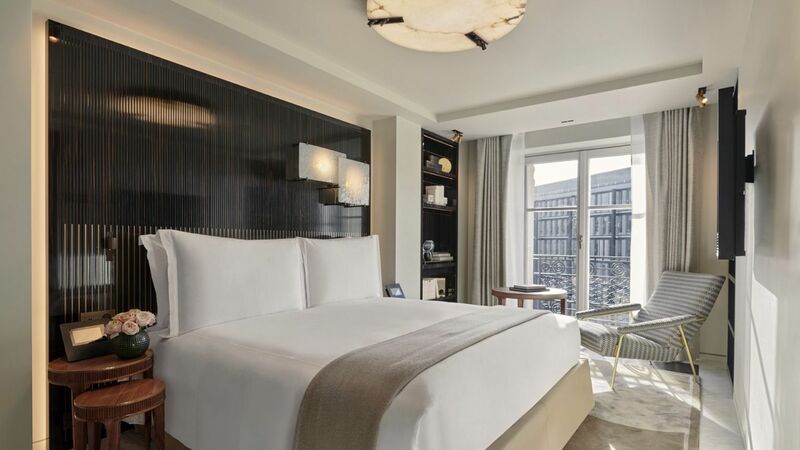 The concierge team stands ready to help customize it to your specifications. 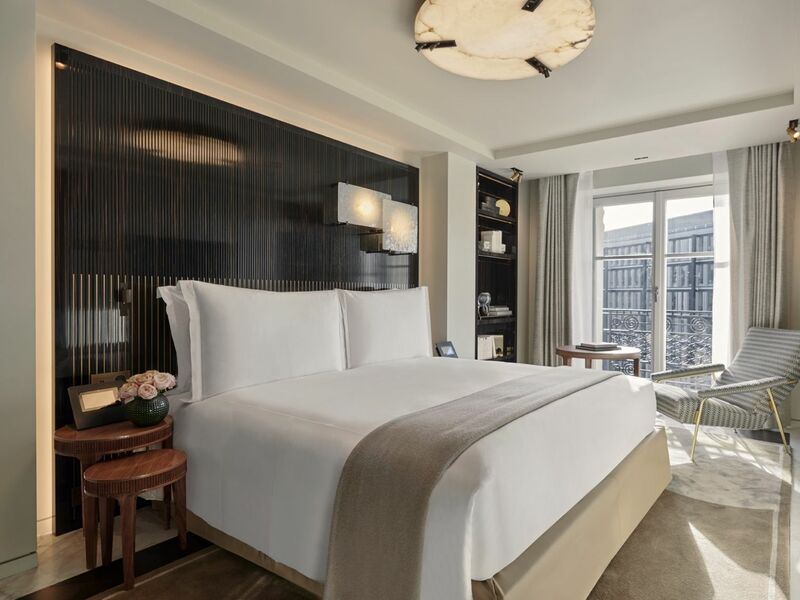 After all, these glamorous rooms bring out the designer in every guest. 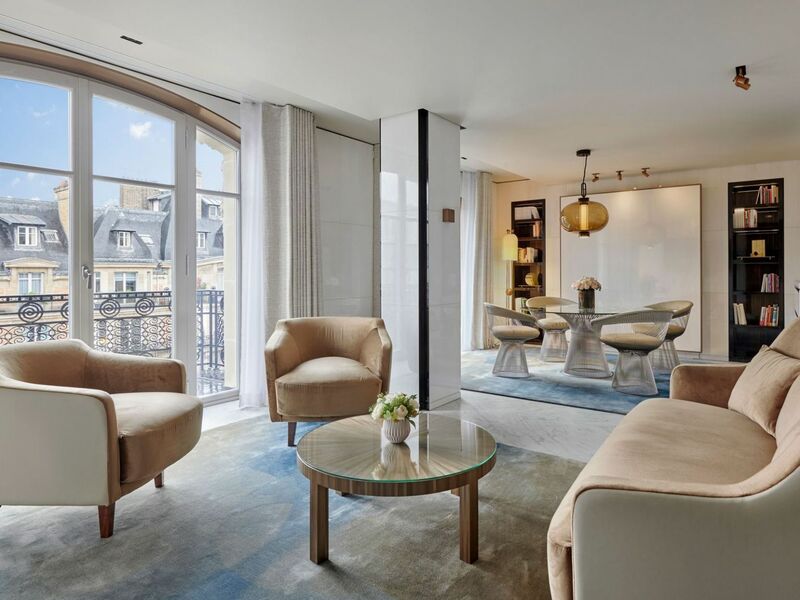 The numbers alone are impressive: Gliding along the Lutetia's undulating facade, the Haute Couture Suite unfolds across over 73 square meters of coordinated luxury. 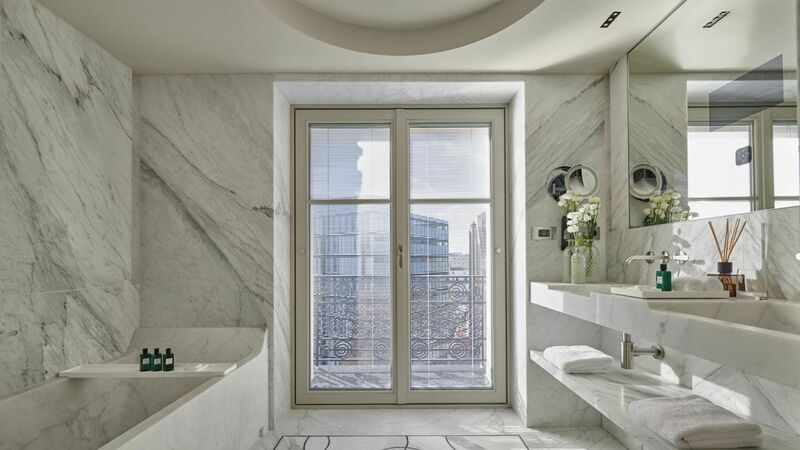 A large dressing room and marble bath surround the bespoke bedroom, creating a peaceful, sunlit refuge. 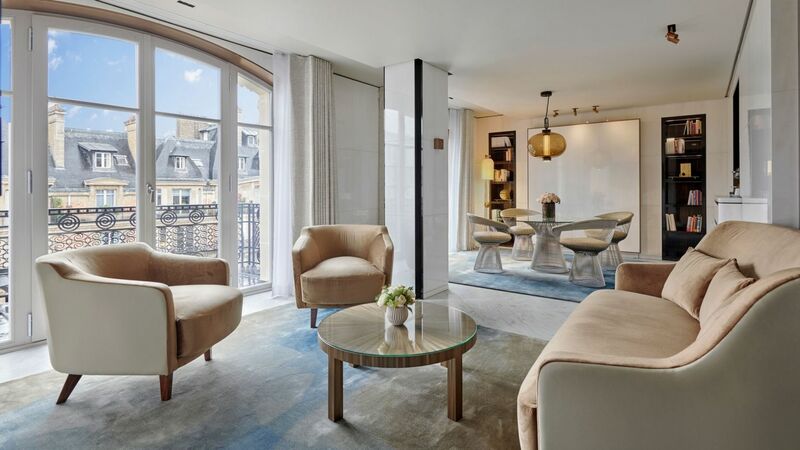 Throughout the suite, a sophisticated range of blues with metallic highlights were chosen by architect Jean-Michelle Wilmotte to match the ever-changing views of the Parisian skyline. Your guests can linger in the Walter Knoll dining room, or wander outdoors, where 20 additional square feet of furnished, wrap-around terraces overlook the city. 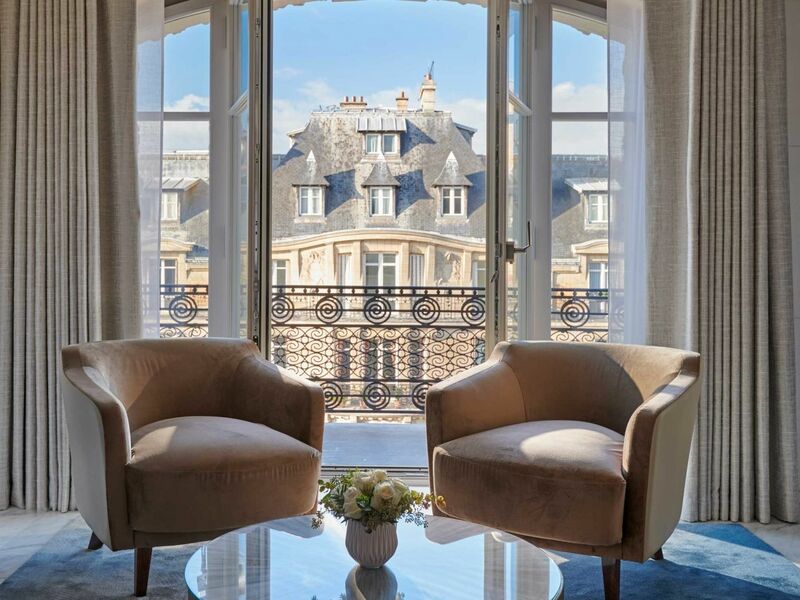 Adorned with unique items from Parisian couture houses, this suite is only the latest example of our guests using the hotel as their own palette. Fashion icon Sonia Rykiel opened her boutique at the hotel, and helped redesigned our Brasserie. Yves Saint-Laurent was another regular. Now it's your turn – please dress the Haute Couture Suite in your own fashion.